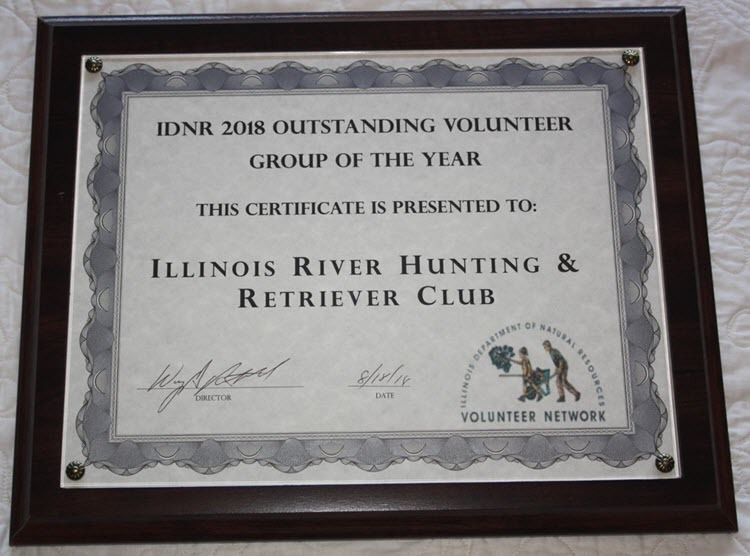 Illinois River HRC is a group of retriever enthusiasts who join together for the improvement of hunting retrievers through group training, organizing and conducting Hunt Tests, and sharing experiences and knowledge with each other. Our group is diverse and family oriented. Our membership includes professional trainers, Hunt Test enthusiasts, hunters, and dog enthusiasts. Our objective is to help everyone achieve the desired level of training for their hunting retriever. We take our dog training seriously but with a relaxed attitude. We are chartered under the guidance of the Hunting Retriever Club, Inc. and affiliated with the United Kennel Club. We welcome all United Kennel Club hunting breeds capable of retrieving on land and water. Our primary training area is Banner Marsh Conservation Area, located between Kingston Mines and Banner IL. on route 24.